Done Events have confirmed that Grammy award-winning pop-rock group Maroon 5 will return to Dubai for the first time since 2011 this summer. The This Love hit makers will perform at the new Dubai Arena – newly named Coca-Cola Arena – in City Walk for the first time on June 14. Those who already pre-registered for tickets will have until 5pm today or until availability lasts to get their early bird tickets, with tickets on sale to those who haven’t registered from 6pm today, Monday April 8. It’s been a big couple of years for Maroon 5, who headlined the prestigious NFL Super Bowl half time show in February 2019. The group also recently collaborated with rapper Cardi B on the 2018 smash, Girls Like You, which topped the US Billboard charts and has so far had more than two billion plays on YouTube. 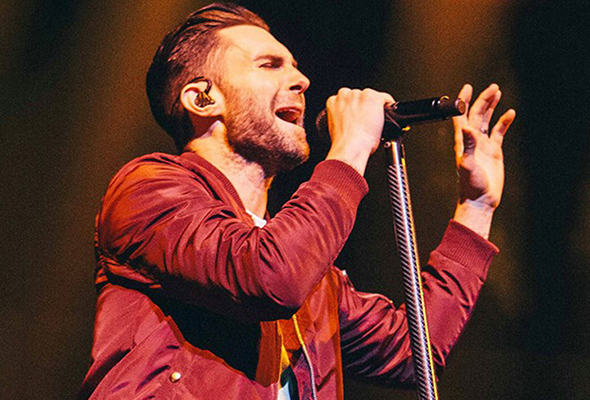 The band, lead by lead singer Adam Levine, will head to Dubai off the back of a 60-date world tour which began in South America in March 2018 and concludes in Europe on June 11, 2019. When they return to Dubai later this year, fans can expect to hear a string of their best-loved hits including She Will Be Loved, Moves Like Jagger and Sugar. It’s not the first time the group have performed in Dubai. They were previously here in April 2011, when they headlined a gig at Dubai World Trade Centre. Maroon 5 will follow comedian Russell Peters, who will open Coca-Cola Arena on June 6. The name change from Dubai Arena to Coca-Cola Arena comes after Meraas signed an exclusive ten-year naming rights deal with the global soft drinks brand. Upon opening, Coca-Cola Arena will become the largest all-purpose, air-conditioned indoor arena in the Middle East with capacity to host up to 17,000 guests for a variety of events. The venue will be managed by international operator AEG Ogden, who are also responsible for The O2 Arena in London. As well as concerts and festivals, conferences and exhibitions, Coca-Cola Arena is expected to host sporting events such as basketball, boxing, volleyball, and ice hockey. We can’t wait to see what else Coca-Cola Arena welcomes later in the year.